Cassette Units | Coolair - Air Conditioning For Work And Home - Covering London, South East, Midlands, Wales & The North. Cassette units are often found in offices. 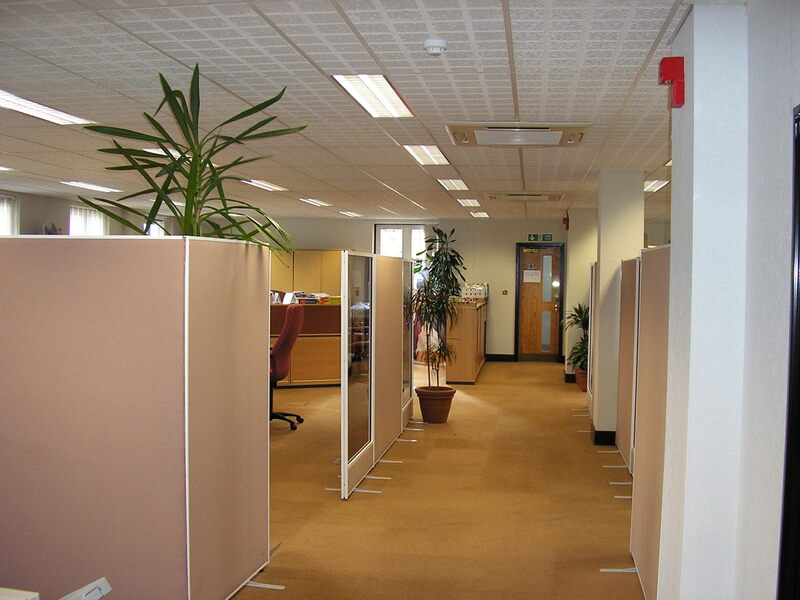 They blend well into boardrooms or meeting rooms where aesthetics are usually important. used. Generally systems operating up to and including 7kW cooling and 8kW heating will be classed as a compact cassette. In most cases, a compact cassette unit can be fitted into a conventional 600mm x 600mm false ceiling grid, making installations simple and less expensive for the client. All cassette units have a 4-way diffuser which distributes the air in an even and pleasant manner.